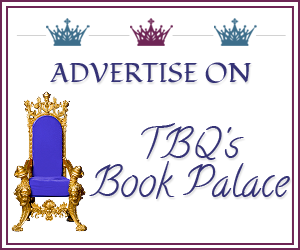 TBQ'S Book Palace: Blog Tour: Guest Post w/ Camilla Chafer + Giveaway! 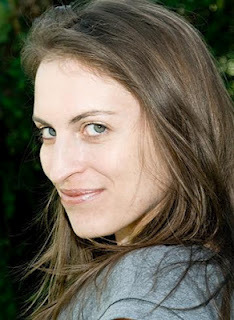 Blog Tour: Guest Post w/ Camilla Chafer + Giveaway! On this tour, I haven’t written about any of the characters yet, so today I’d like to introduce you to Evan Hunter. I wanted Evan to be something of an enigma. He’s not a witch, but it’s clear he’s something else, something powerful that makes the witches uncomfortable even though they hold him in high regard or, at least, with respect. He’s telekinetic and can dematerialize along with other powers. He’s honorable, mysterious, a little stand-offish, and very attracted to Stella. We get hints of a tragic past, one he’s buried and, like Stella, he doesn’t have a family, leaving him somewhat of a loner too. Of course he’s handsome with very short, almost black hair and dark eyes. He’s tall at 6ft2, strong and athletic… a formidable being whatever he may be. Loyalty means a lot to Evan but it’s not just the favor called in by a friend that ensures he helps Stella. The mutual attraction helps a whole lot too, even though it momentarily threw him into indecision, leading her to believe he doesn’t like her. At first he’s frustrated at teaching a witch who ‘leaks’ magic but is curious about her, often looking at her when she thinks she isn’t looking, and as their attraction grows he is more able to approach her. He’s often annoyed at the time she spends with Marc, but very much determined to not push her, realizing that for once Stella needs to set her own rules and decide what she wants. Evan is very thoughtful towards Stella. They have a shared love of books and music and he enjoys doing nice things for her, helping her feel more comfortable in her new life. Teaching isn’t Evan’s regular job. His real role is actually reflected in his name ‘Hunter’ as he’s self-employed, working with the supernatural community to rein in paranormals, quite literally hunting them down if needs be. He comes to believe that the reason why he has been asked to help Stella, rather than leaving her tutorship entirely to her fellow witches, is down to his specific skill set, skills that will help Stella keep safe, as well as to be her protector. He has no problem coming to her defense. As their affection blossoms into something more, Stella’s magic grows under his careful, sometimes playful, tutorship. Sent to an extraordinary safe house by the sea to learn her craft, Stella finds there is more than one dark secret in her new family: Étoile’s sister is spoken of in fear and sadness; Marc is supposed to be a powerful witch but is missing his magic; where does the owner of their safe house vanish to every day and why does Evan have the eyes of someone not quite human? There is only one secret that someone will do anything to keep quiet, but whose secret is it and will Stella have to pay the price for silence? Read My Review for Illicit Magic! The man filling the doorway was at least six foot two with broad shoulders that tapered to a neat waist and long, jeaned legs. Toned arms extended from under a grey t-shirt and his hands didn’t look like strangers to work. As my eyes travelled up from his chest, I noted a tanned, square jaw that hadn’t seen a razor in a day or two, a slim nose and brown eyes so dark I could barely distinguish iris from pupil. His hair was cut short and so dark it could almost have been black. He wasn’t beautiful in the traditional sense but he was captivating, the type of man people automatically turn their heads to have another look at. I couldn’t drag my eyes away and my heart did a little flip. A fleeting image of being wrapped up in his arms, his lips crushing mine, overtook my mind. He caught my eye and held my gaze. I was glad he couldn’t see inside my mind, but I blushed furiously. His face looked thunderous. And now, come to think of it, Marc didn’t exactly look happy either. “This is her?” he asked no one in particular, his eyes still fixed on me, his expression fading from thunder to completely impassive. “David could teach her,” snapped Marc, scowling at Evan. The muscles in his arm had tensed though he was still sitting and I could see the veins bulge. What was with him? The ensuing silence was deafening. Marc scowled at Evan, Evan looked spitefully at me and I gripped my glass as if it were a life rope in a storm. Étoile finished up her second scone and looked around gleefully as if we were the height of entertainment. Meanwhile, my mind was getting increasingly lurid and I could hardly look Evan in the eye for fear that he would know that I’d just had a very exciting mental picture of us doing something that really should not have popped into my head while I was having a scone with civilised company. 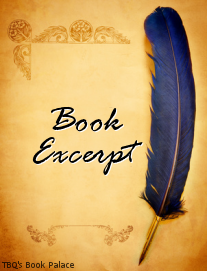 “If you don’t want to teach me, fine,” I gasped, daring to look at Evan from under my lashes. Marc had leant back in his seat, arms crossed; Meg and Étoile were still looking at the man expectantly. Étoile coughed, but not before I heard her snicker again. His jaw shifted and he breathed out. “I’ll teach you,” he said at last, making it sound like the least pleasant chore he could be assigned. “Fine.”Evan stepped back out of the doorway and strode back the way he came. “Evan Hunter is a very good teacher,” Aunt Meg chided as she gathered up the plates and swatted Étoile’s hand from the cake stand with a napkin before she could reach for another scone. I noticed Aunt Meg hadn’t eaten or drunk anything and hoped she didn’t think I was greedy for gobbling mine as fast as I could. “What did he mean – I leaked?” I asked, thinking that sounded, well, gross. GIVEAWAY IS NOW OVER--THANKS FOR STOPPING BY! Giveaway open March 30th till April 20th! No entries will be counted after April 20th. Winner will be picked the next day. Mandatory: You must leave a comment (answering my question) on this post, with a valid email address^! No email address, no entry! Mandatory: You must fill out the Rafflecopter below. So what do you think of Evan? Does he sound like the type of hero you love to read about--why or why not? 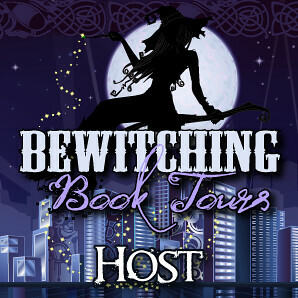 I'd also like to thank Bewitching Book Tours for allowing me to participate in this tour, as well as providing the review copy of Illicit Magic. The hint of a tragic past in a hero will get me every time! Oh, me too. It's the tortured hero theme--I think unless the author does a horrible job (no so in this book, by the way! ), it's almost guaranteed to make us love the hero! Wow - what's up with Evan's 'tude? Makes me want to know more about him and also what the issue is between him and Marc. Love the tall, dark & intriguing guys. :) That makes two of us--what is going on? Hmm.. 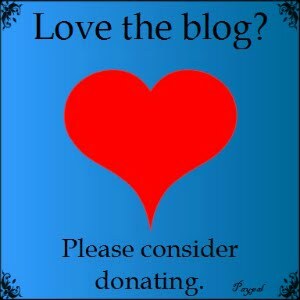 Thanks for stopping by--even with Blogger having issues. And I'm all fo your statement! LOL. You had me at 6ft2. Seriously! Hmm...dark haired, has something buried deep, "Hunter" may have something to do with his profession. Yep, I'm in! Tall, dark and mysterious--yep, that pretty much makes any man irristible! Lol. :) Thanks for stopping by--Good Luck! WOW the book sounds GREAT!!!! !